Designed a new pressurized irrigation system that increased water allocation by 85%. 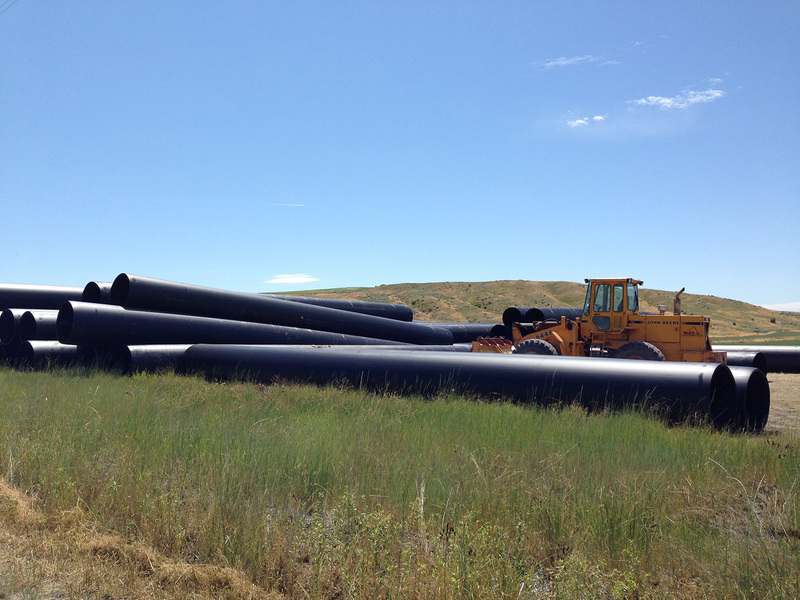 Removed the existing irrigation canal and replaced it with 34,500 feet of 6-inch to 48-inch HDPE pipe. Pipeline involved 30 connections for valves, air vac, and meters; pipeline crossed five gravel roadways, three county paved roadways, and one bore underneath Highway 142. Added two large flush drains (16- and 12-inch) to flush out small sediments and rocks. Acquired two WaterSMART Grants to complete the project.